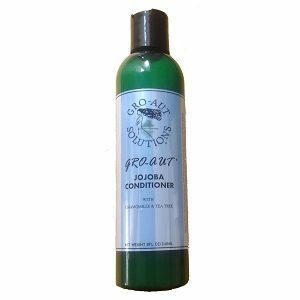 Jojoba Conditioner with Chamomile and Tea Tree essential oil promotes hair growth and conditions hair while helping to restore lost moisture and protein. The added tea tree oil helps to relieve dandruff and encourages hair growth by unblocking hair follicles. Chamomile helps to strengthen the capillaries that supply blood to the scalp and hair follicles and improve elasticity. 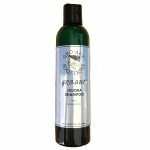 Note: This Jojoba conditioner is light and fluffy; therefore, bottle may not appear completely full after settling occurs. This is normal, just think of opening a bag of chips that is never completely full to the top due to settling.